From Coast Brewing, Makers of Dominion – Dominion Oak Barrel Stout is rich and smooth, a draught brew so popular at our Brewup that we found a way to bottle it for a wider audience. We combine seven different malts and two hops to create a delicious stout, that we dry-hop with fresh vanilla beans and toasted oak to finish our little treasure. The result is a stout that has the bourbon barrel flavor we all enjoy, and hope you will to. 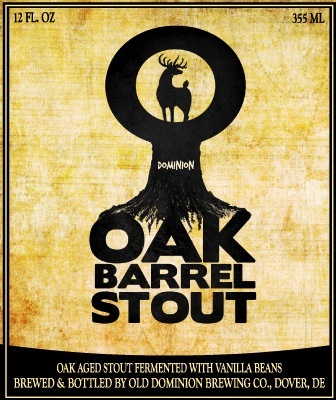 Coastal Brewing Company – Dominion Oak Barrel Stout – 12 oz. bottle poured into an imperial pint glass. 5.2% abv. From online trade. Appearance: Pours a rootbeer brown with a pin stripe of fiz. Aroma: Smoked malt, smoked meat and roast. Taste: Smokey malt, roast and spicy hops. 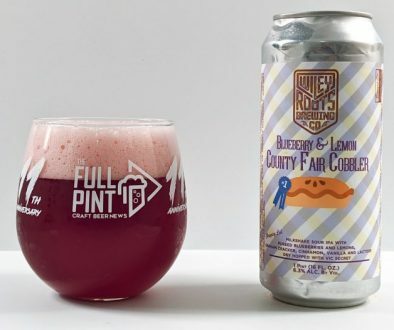 Mouthfeel: Thick with medium carbonation. Overall: A very dry, smokey stout. I think I needed to pair this with a meal. Oak Barrel Stout is great. 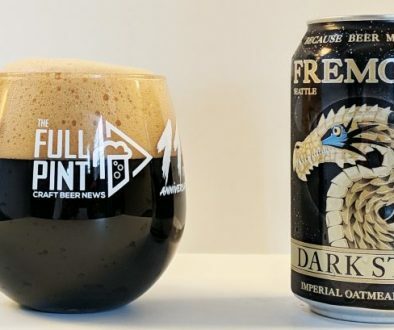 It doesn’t have the typical ‘chocolate’ taste like so many other stouts. 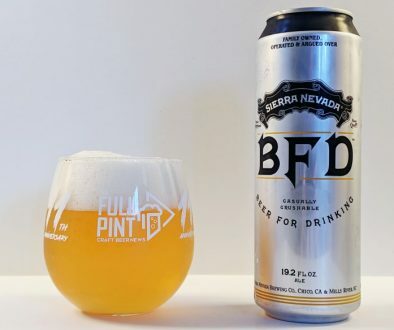 Check out brewskireview.com if you get the chance.